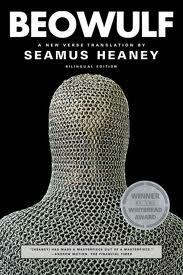 My OE prof was personal friends with Irish poet Seamus Heaney, and told him to his face that she hated his translation. It is, naturally, the only translation I've read all the way through. Today, I feel like talking about Beowulf. 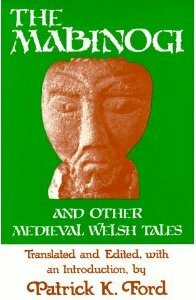 One of the most fascinating aspects of Beowulf is that it is essentially a pagan heroic epic, yet it was written by a Christian for a Christian audience. Naturally, there is an unmistakable contrast between the pagan themes inherent in the story and the Christian themes that are worked into the grain by the poet. The theme of wealth, in particular, is one which both Beowulf and other Christian theological texts of the time period speak frequently about. The poet of Beowulf might consider Boethius’ statement a point well taken, as the poem is filled with battles in which the loser’s treasures invariably go to the one who defeated him. Prowess in war is the most prized virtue, and it is assumed that the stronger man has earned the right to take whatever his strength allows him if the battle was justified for any reason. Yet wealth serves another, vastly more important role in the society and Beowulf – it enables generosity. Noble kings and thanes are often called ring-givers, because aside from valor in war, their honor and reputation is built on the hospitality they show to others and the ways they reward their loyal followers. When Beowulf saves the hall of Heorot from Grendel, King Hrothgar not only lets him loot Grendel’s lair, but also heaps numerous other treasures on him and his soldiers to show the magnitude of his thankfulness and the greatness of his soul. The poet remarks consistently how this giving of gifts marks the greatness of Hrothgar’s honor. Beowulf then proceeds to reward his faithful followers with more gifts, not even neglecting the man who stayed on the coastline to watch their ship the whole time and was not present at any of the fights. And when he arrives home in Geatland, Beowulf shows his appreciation to his king at home by giving him some of the treasure as well. By such generosity, as well as fighting prowess, are men considered great in this world. Wealth is seen as something to be used, not hoarded, and, I think, as a sort of vindication that the battle was worth it after all. If the victor does not reward those who have helped him, he will reveal his arrogance and end up with enemies. Those who do hoard wealth in this world inevitably lose it – in a curious affirmation of Beothius’ rule. Grendel and Grendel’s mother have apparently raided and looted human settlements for centuries, and they lose all to Beowulf. The dragon, too, has a hoard of treasure that does not belong to him, and so he too loses it to Beowulf. Yet neither can Beowulf keep his winnings in the afterlife. Dying from the dragon’s wound, he commands his servant Wiglaf to find the monster’s treasure hoard for him, saying, “My going will be easier for having seen the treasure, a less troubled letting-go of the life and lordship I have long maintained” (Heaney, 185). Why? Not for himself, but for his people. His wealth is only good so long as it strengthens the people of his kingdom, and the hero recognizes that it is to his honor to leave his loved ones better off after his passing. Fare thee well! But I shall continue to be random. ‘Tis finished. I…I confess I did not expect it to occur in such an obtuse, precipitous manner. But I’ve simply no more to say. My hope in starting a blog was that I might find that I had something worthwhile, something of real value, to add to the Internet. And perhaps, at first, I had. But not now. Not anymore. And so, I must bow out, a dog of a writer, but a dog who knows when his tricks are old and rough. Wherefore, David, wherefore? you ask. ‘Tis this: I have been surpassed. And you will agree! After seeing this astounding, brilliant, beautiful, and vigorously entertaining (and subtly philosophical) videographic presentation on the Tube that is for You, what more is there to say? All that I could possibly say in my insensate verbiage is there represented in exquisite gibberish. Adriano Celentano, thou art all I could have hoped to be! I know that nothing in the public eye (or browser) awaits me now; no fame, no place as a writer of words that others may cast their eyes upon and with understanding relish. The demiurgic beam that from my mind once sprang with numinous glimmer upon this weblog is now gray and dissolute. I shrink from the blank page, and shall try my digital pen no more. For after the enlightenment, came this. Fallow as my brain is, I shall follow in the steps of the one mentor left to me whose example holds the promise of my future. I shall walk his way (in English and Italian). Because now, I just ain’t got nobody.